La Cometa, meaning The Kite, is a work by the Spanish painter Francisco de Goya dating from around 1777. It is held by the Museo del Prado in Madrid. Measuring 105.91 by 112.2 inches, the work is one of the artist’s 63 tapestry cartoons commissioned by two different kings of Spain. Cartoons were works, often painted on paper, which were created for cloth workers to convert into tapestries. 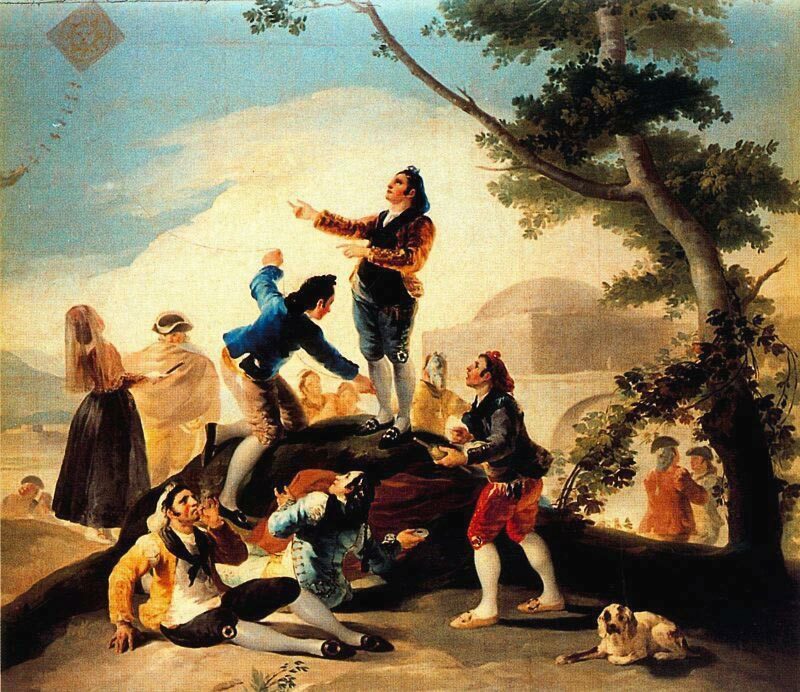 Goya did his cartoons using oil on canvas. The painting is of a group of people just outside a town or city. The foreground of the painting shows five young men around a rock. Three of them are looking at the kite of the title, which occupies the top left of the picture. The right side of the painting is dominated by a tree, under which a dog is lying. There are other people standing behind the main group. Behind the people is a large Moorish style building with a domed roof.